« The Open Floor Plan you’ve always dreamed of. 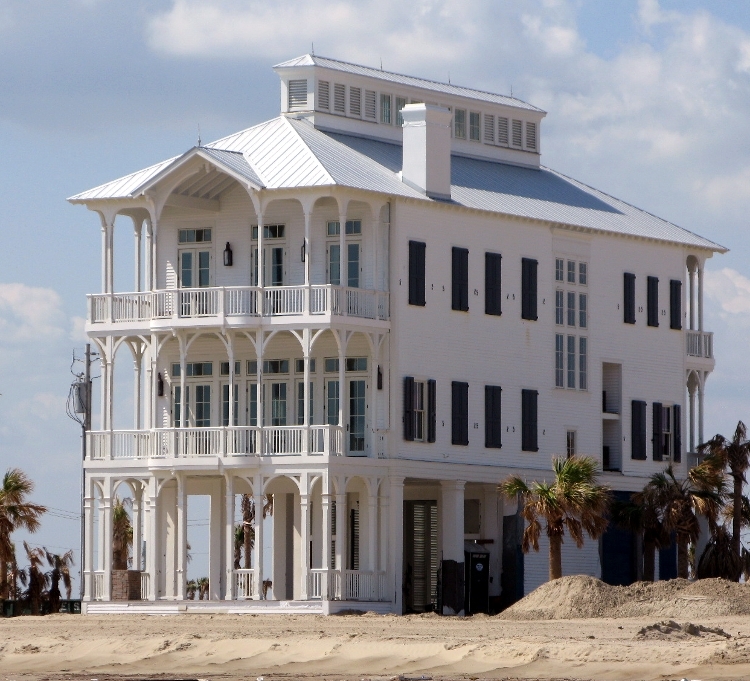 Amazingly enough...this picture of the Coastal Living Idea House 2008 was taken just a couple of weeks after the eye of IKE crossed over Beachtown Galveston. Like all homes in this community, this home, built to meet the Fortified(R) building requirements, withstood IKE's toughest punch. Developed by the Institute for Business and Home Safety (IBHS), the Fortified® program is a national, inspection-based initiative designed to increase homes’ resistance to natural hazards such as wind, fire and floods. Beachtown is the first entire community on Galveston Island affiliated with the Fortified® program. Fortified is the gold standard in disaster resistant construction. Case in point, insurance companies in Florida and South Carolina already recognize the value and merit of this program and give discounts on their homeowner premiums for building these stronger homes. Beachtown is partnering with IBHS to lobby Texas Insurance companies to start recognizing this program and to offer discounts as well for homes that meet the Fortified ® requirements. The Fortified program raises the home’s overall safety above the minimum requirements in state/local building codes. This is done by paying extra attention to areas especially vulnerable to disasters, including door and window openings, roof construction and attachment, foundation and even landscaping. Like all homes in Beachtown Galveston, this Beachtown Dream Home will not just meet, but in many cases exceed the Fortified program requirements. The first living floor is raised more than two feet above the base flood requirements and break-away walls on the ground floor. That means discounts by FEMA on Flood Insurance. The entire structure is strengthened by taking measures that include exceeding IBHS’s wind speed requirements using concrete foundation and columns, steel window and door portals, and installing the strongest windows and doors available. This home has been inspected by an IBHS appointed structural engineer (David Franklin) throughout the various phases of construction to make sure the Fortified requirements are met and the home construction adheres to the engineer’s plan. The Fortified program ensures a much greater chance of your home’s survival in the event of a Hurricane and provides you with peace of mind. Read more about how homes certified under the Fortified ® program in Beachtown and on the Bolivar Peninsula withstood IKE’s strongest Punch.